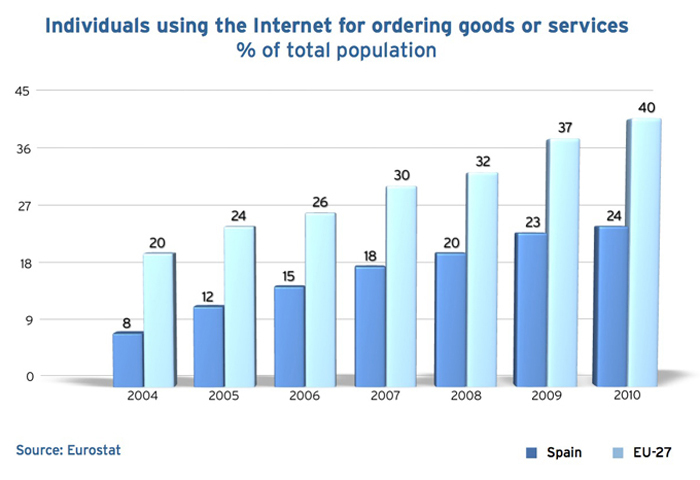 40% of the EU-27 population used the Internet for ordering goods or services in 2010, 3 percentage points more than in 2009 and 20 percentage points more than in 2004. This evidences the increasing trend of eCommerce use by citizens. There are important differences between the European countries. 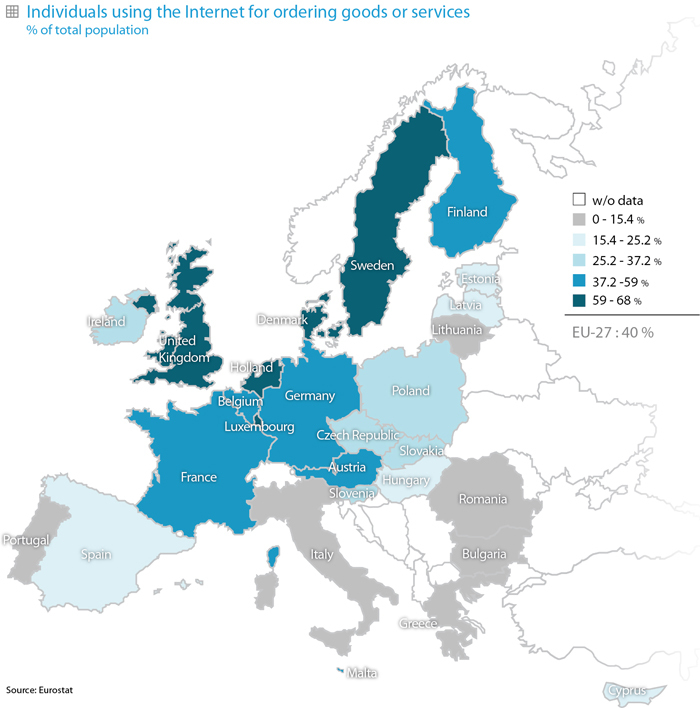 While in countries like Denmark, the Netherlands and United Kingdom between 68% and 67% of the population has used the Internet for ordering goods or services in the last 3 months, in others like Romania or Bulgaria this indicator hardly reaches 5%. Spain records 24%, 1 percentage point more than in 2009. Number of individuals, expressed as a percentage of the total population, who have used the Internet for ordering goods or services in the last three months.